Not long ago, one-hour photo shops were declared to be the “disappearingest” business in America. Think about it: when was the last time you went to get a roll of film printed? In fact, there are only 190 of these shops left in the country. Why? Because everything is digital now. Nobody seems to print their photos any more. Instead, we throw them up on social media and call it a day. Who needs printed photos taking up drawer space when you have unlimited online photo storage? Not to mention that online photo galleries are just more convenient for everyone all around. But some pictures are so valuable that you want to carry them around in your wallet. Or maybe you want to print that perfect landscape shot you took so you can hang it over your fireplace. Where are you going to go now that one-hour photo shops are endangered? You can print them via the Internet, of course. Shutterfly is an entire business dedicated to taking your digital photos and turning them into beautiful realities. Based out of California, this company has been around since 1999 — way before digital photography took over the industry. How’s that for forward thinking? On the website, you can turn your photos into photo books, cards, stationery, poster prints, mugs, puzzles, mouse pads, pillows, and so much more. Seriously, the selection here is insane! Whatever the occasion, you’ll find something that fits. Price-wise, it’s not that bad. “Thank You” cards start at $1.39, photo books start at $12.99, and canvas prints start at $69.99. For what you’re getting, these costs are quite affordable — especially when you consider how customized and personal they’ll be. 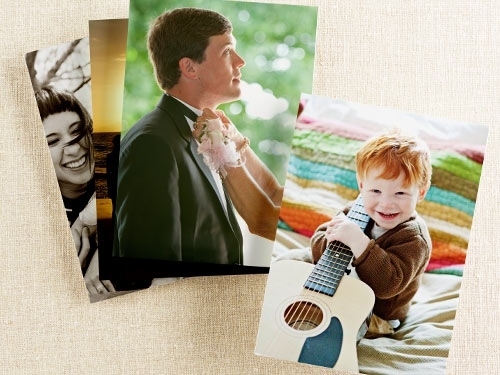 At the moment, Shutterfly is offering 50 free prints to customers who sign up. On top of that, they run occasional campaigns that can save you up to 30%, 40%, or even 50% off your order. Just keep an eye out for these deals and you’ll walk away a print winner. Shutterfly can and will deliver internationally to over 100 countries. AdoramaPix is an affiliate of Adorama, the renowned company that acts as both a store where you can buy camera gear and an educational resource for learning more about photography and post-processing. AdoramaPix, then, is a service focused on high-quality prints of digital photos. The downside of this is that AdoramaPix doesn’t have as much of a selection as Shutterfly in terms of available products. Other than photo books, calendars, cards, and various kinds of prints, there isn’t much else — but if that’s all you need, AdoramaPix is a great service. Shipping costs are a bit complicated but the company will deliver to anywhere that the U.S. Postal Service delivers. FreePrints is a bit different from the aforementioned services. This one interfaces directly with the photos on your mobile device(s) by means of an app. It’s available for Android, iOS, and even Windows Phone. Extremely convenient and worth checking out. How does it work? Whenever you take a photo, you can order free 4×6 prints of it through FreePrint. Not only that, the app can also order free prints of photos on your Facebook, Instagram, Flickr, or Picasa accounts. There are no subscription fees, but you do pay for shipping, which starts at $1.99 but never exceeds $9.99. As far as limitations, each photo is limited to one free print. Also, you can only order free prints up to 85 photos per month and 1,000 photos per year. If you want prints in a size other than 4×6, those you will need to purchase. Photo books start at $11.99, regular cards start at $0.58, premium cards at $0.99, and canvas prints at $32.99. Very, very cheap! In addition, they offer “photo gifts” like blankets, pillows, stationery, posters, and more. You can view their full price list for exact details. Snapfish is available in North America, most of Western Europe, China, Australia, and New Zealand. In terms of regional availability, Fedex’s Print & Ship will only deliver to recipients within the contiguous United States.